As "bad" as those places were, they hold a place in our hearts like old lovers. I loved the old VA hospital from my student days (no longer there). I loved the old Earl K Long of my intern days (from what I hear no longer the same). I love Boston City Hospital of my residency. Fantastic post! Great descriptions of a great place, its quirks and frustrations indispensable parts of the experience. And a nice photo, too. Sounds much like the County of my experience, although the elevators, while incredibly slow, added to by having the second cage-door, didn't have operators. Nevertheless the only time it made sense to take them was when pushing a patient. I'd forgotten about the uniformity of the vital signs when taken by the aides -- or some of the nurses, for that matter. Good stuff. Thanks for a great memory-tickler. The outside of Cook County looks pretty creepy all by itself. Sounds like the elevator is almost as dangerous as being outside at night, and the catacombs! It all adds up to a Stephen King movie. 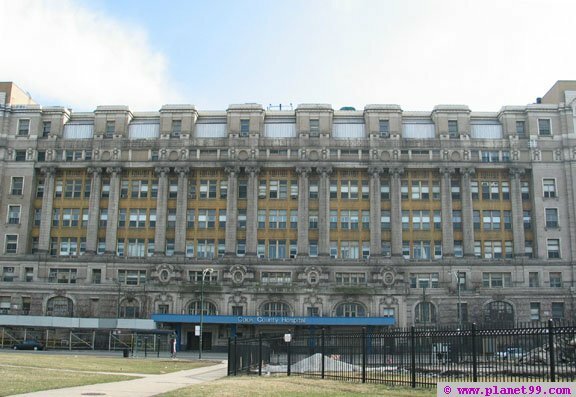 Perhaps Cook County was his model for Kingdom Hospital. Great story. It may have seemed like a long post to you, but I was sorry to see the end. Definitely give us more, please. Great story -- did my surgery rotation at Mt Sinai in Chicago, sounds familiar -- broken radiators in the call rooms, stairwells like a brick oven over the summer, running people to Rads and back, ER thoracotomies for all the West Side GSW -- you need another post on the old County!